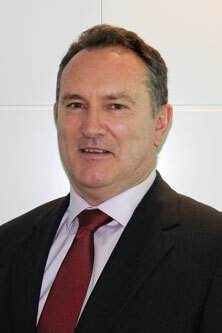 Peter Attfield is the Senior Vice President for Future Pipe Industries based in the UAE. In addition, he is a Visiting HR Lecturer for the Cass Business School Executive MBA programme in Dubai. He joined FPI in 2016 and has a varied and non-typical HR background with a blend of senior multi-national and GCC regional HR roles (in Global Expertise and Business Partnering), Management Consulting and Finance. He has significant international and developed/developing markets experience having lived in 9 countries and worked in or visited 72 others. He has over 30 years’ experience in designing and driving transformational change in global organisations and also has significant background in global Talent Management, Organisation Development and Total Reward practices. He has worked for a number of leading global and regional organisations including Shell, Unilever, PA Consulting Group, Quest Worldwide and Alghanim Industries. Peter has a Bachelor of Business from the University of Technology in Sydney, is a graduate of the Advanced Executive HR Programme at Michigan University in the USA and also holds a Certificate in Human Capital and Effective Organisations from the University of Southern California in the USA. Peter is also a Fellow of the Arabian Society of Human Resource Management (ASHRM), the Chartered Management Institute (CMI – UK) and the Gulf Talent Council.